A few weeks ago, shortly before Halloween, I took Gone with the Wind (aka Roadtrek) up to Morro Bay State Park. Accompanying me in her Minnie Winnie was my RV pal, Kathy Moran. Each of us had booked three nights with full hookups. 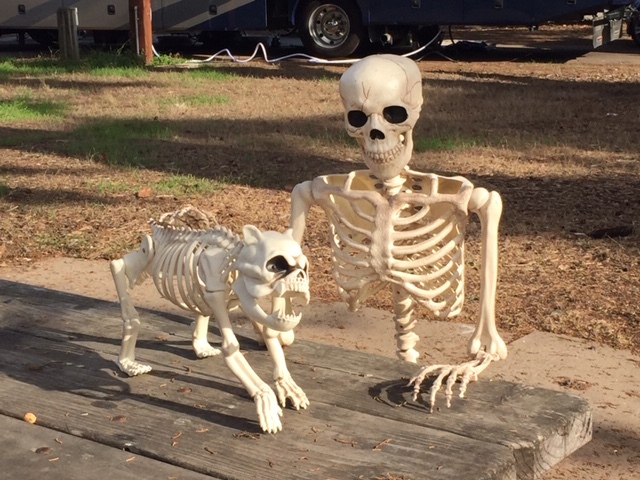 Never having camped there with RVs before, we didn’t know what to expect. 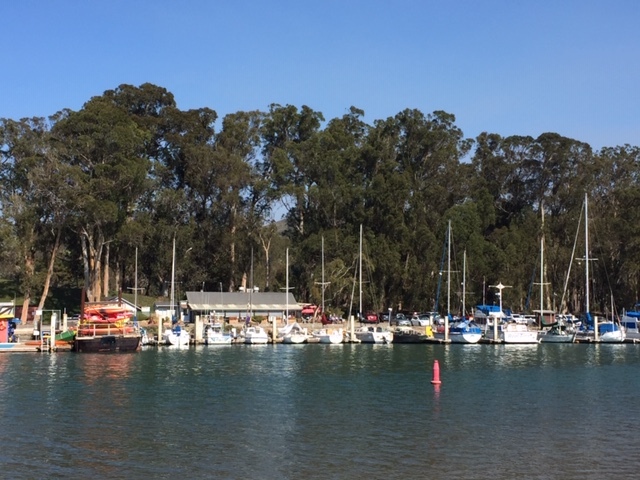 Years ago I tent camped at Morro Bay SP with my friend Betty Marvin, but I don’t recall doing the all the sightseeing that Kathy and I did. Say hello to my friendly neighbors. LOL! 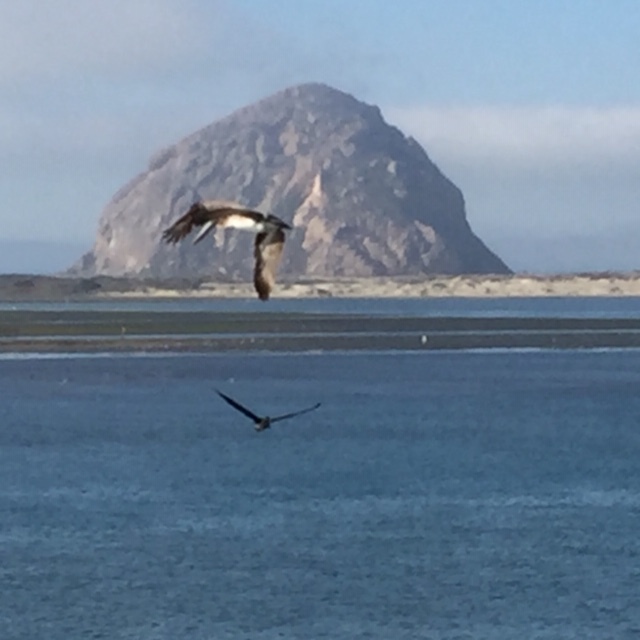 Anyone who is familiar with Morro Bay knows about Morro Rock, nesting home to the once-endangered American peregrine falcons. This State Historic Landmark was formed about 23 million years ago from the plugs of long-extinct volcanoes. 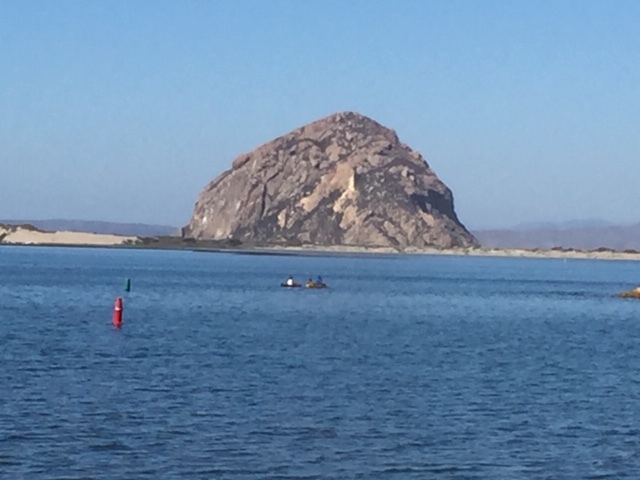 Morro Rock was an important navigational aid for mariners for over 300 because the rock is approximaely 576 feet tall which made it the most visible in a chain of 9 peaks. Portuguese explorer, Juan Rodriguez Cabrillo named the rock “El Morro” in 1542. In Spanish “Morro” means crown shaped hill. Morro Rock, sometimes called the “Gibraltar of the Pacific,” is the last peak of the Nine Sisters, which extend from San Luis Obispo to Morro Bay. Across the road from the campground was a beautiful estuary with a boardwalk all around it. In this 800-acre wetland, fresh water mixes with ocean tides. Wildlife abounds! Also nearby is the marina and a popular restaurant/cafe populated by tourists and locals. And even further down the way is the Museum of Natural History. 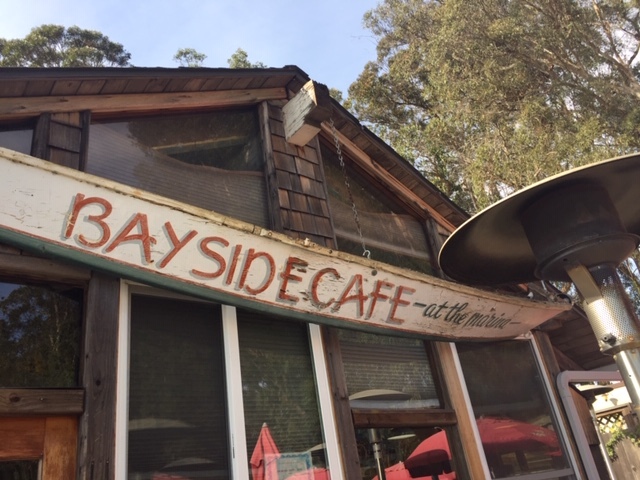 It’s quite the gem with a spectacular view of the bay. We spent some time on the outside deck watching a host of birds diving for their food. Another outing took us to the Los Osos State Reserve where we hiked around a bit. Established in 1972, this 85-acre state reserve features trails, wildlife, and centuries-old oak trees. 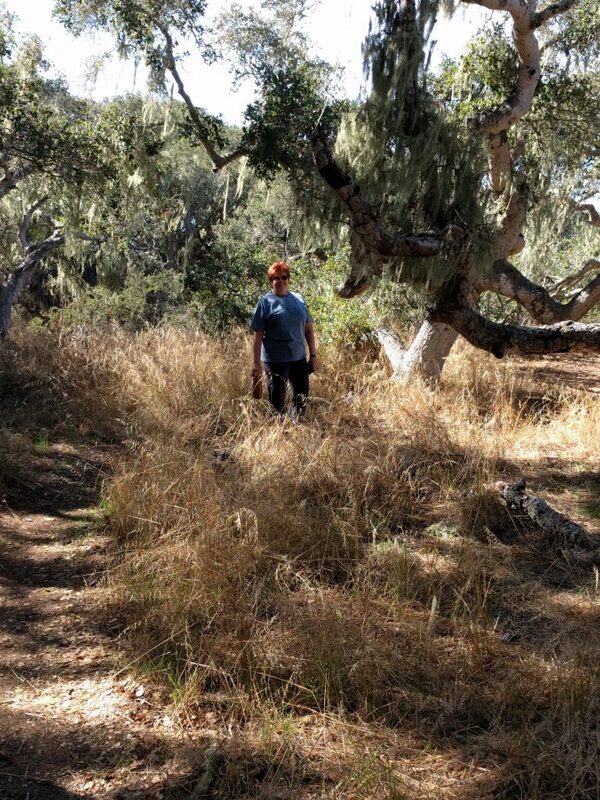 At one time it was home to the Chumash and Salinian people. When European explorers came to the area in 1769, they saw many California grizzly bears, hence the name Los Osos (the Bears). 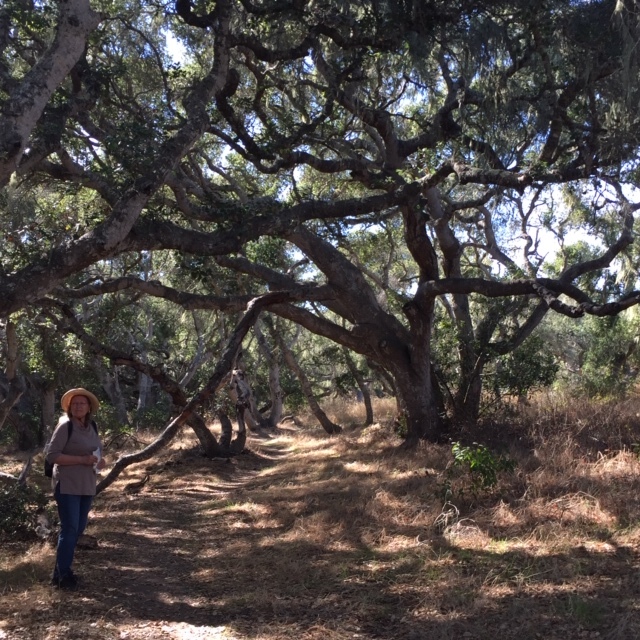 Thankfully, this patch of ancient oaks was spared from development, and the magnificent trees continue to grow today. 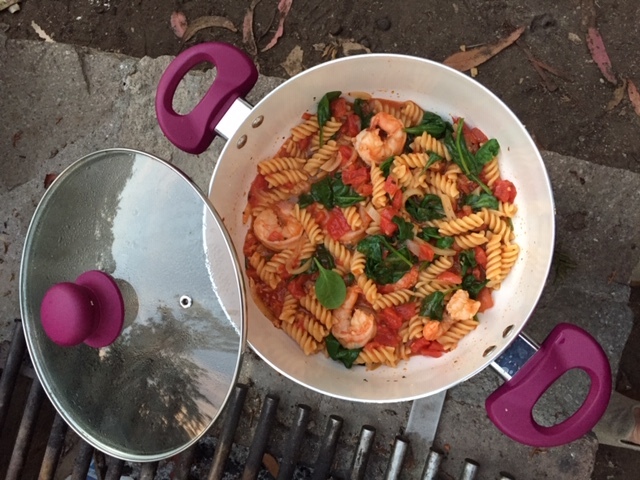 No camping trip with this gourmet girl unfolds without trying out at least one new recipe! Most recently, I’ve taken to preparing one-pot meals. This one, courtesy of Martha Stewart, is a one-pan pasta. I didn’t have linguine or basil so I substituted corkscrew pasta and spinach. I also added a few large shrimp. It was delicious! As usual, three days is never enough (heck, you just start to settle in), so we extended our stay for another three nights! 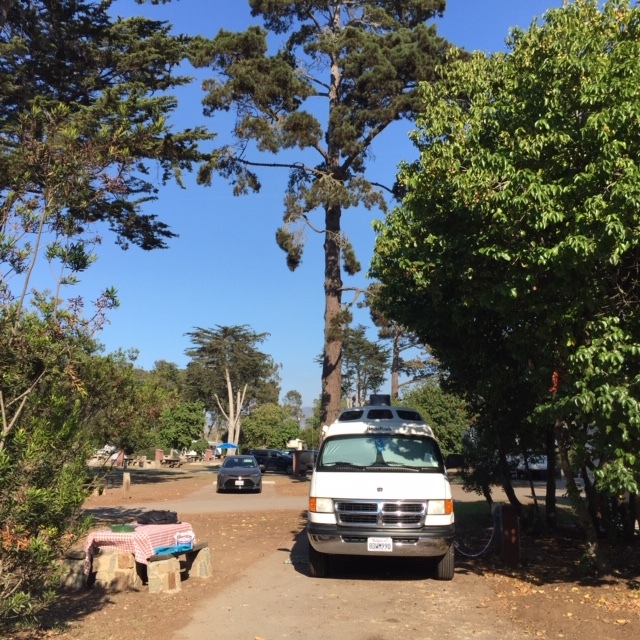 It was going into a gorgeous weekend and the campground was full, except for one site. Even though it didn’t have hook ups, we grabbed it and shared the space. I’m really jonesing to go back to Morro Bay State Park. Unfortunately it’s closed until February 15 as California Department of Parks and Recreation works to replace the main waterline that’s been leaking and causing gigantic water bills. Where to next? The Gourmet Girls have a trip planned in December to San Simeon State Park and a Holiday Twilight Tour of Hearst Castle! So stay tuned for our next adventure! Until then, have a Happy Thanksgiving!